Courier services to make reverse orders a cake walk for your eCommerce store! 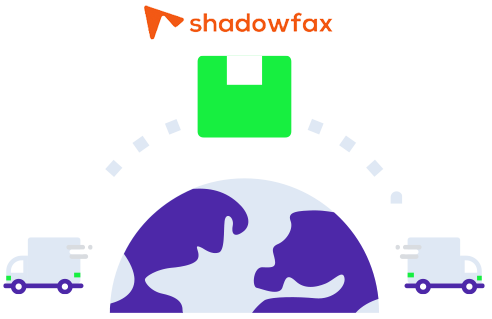 Shadowfax is a leading eCommerce shipping provider in the industry. With a vast reach across 150+ countries, they are diligent, fast, and aim to provide a competition to Amazon prime. They are known for last mile deliveries and have the latest technology for logistics and growth! Shadowfax offers the best reverse logistics services and also guarantees a seamless order fulfillment operation for your eCommerce store. Along with Shiprocket, you get a fully functional dashboard, daily insights, and other features for processing your orders. With an automated NDR flow, reduce RTO by almost 5%. Know buyers delivery preference and feedback in real time to avoid unnecessary delays. You get 15 courier partners to choose from for all your shipments. Also, you can choose the most suitable one for each order. If you have warehouses in multiple locations across India, schedule pickups from all as Shiprocket offers you pickup from unlimited locations. We offer the fastest COD remittance – 3 days a week. Now let the cash flow be continuous and ship hassle free.